In the last few years, especially since about 2010, nail art has become an absolutely huge phenomeon (yeah, that means I was blogging about nail art before nail art was cool. Get me!). Did know know that there were over 1.8 million Google searches for nail art in just the last month? That’s insane. Sales of nail products are even outgrossing sales of lipstick right now, can you believe that?! Lots and lots of brands have cottoned on to this, releasing what I call effect polishes (i.e. glitters, polka dots, sheer duochromes, crackles etc etc) left, right and centre. L’Oreal Paris in particular have capitalised on the nail art trend by snapping up what was probably a very expensive domain name, nail-art.com. Grace Humphries. 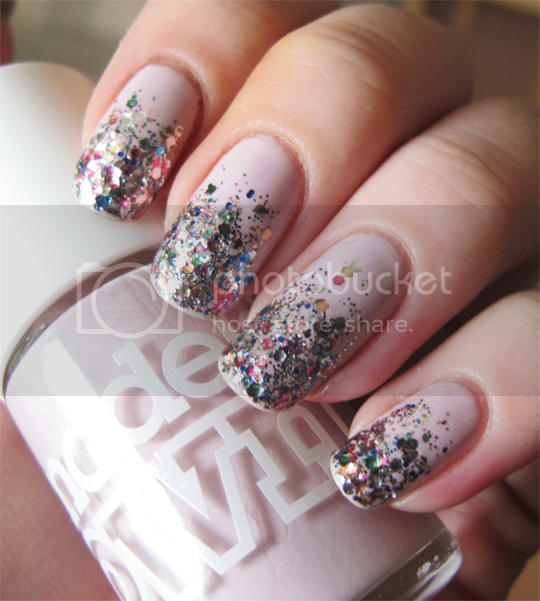 You don’t even need me to tell you how to do this, anyone can do a glitter gradient. Even on their non-dominant hand! But the beauty of something like this is in its simplicity.